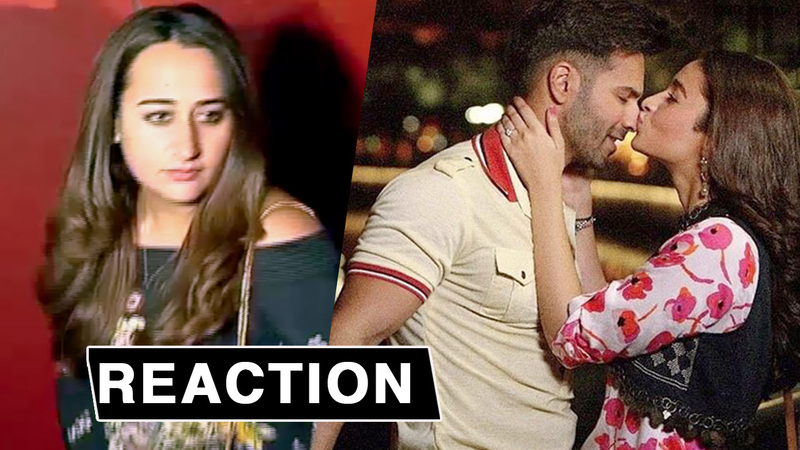 Watch: Natasha Dalal’s REACTION After Watching Beau Varun Dhawan-Alia Bhatt’s Chemistry In Badrinath Ki Dulhania! Varun Dhawan has been rumored to be dating designer Natasha Dalal since time unmemorable. The chocolate boy of B-Town has never confirmed his relationship status. He has time and again said that he is not ready to make his relation public. Reason being, he doesn’t like being in news because of the love life. Recently, Varun-Alia’s Badrinath Ki Dulhania was screened which was attended by who’s who of Bollywood. Amongst them was also Varun’s rumored girlfriend Natasha. But she kept walking and didn’t answer the question about Varun Dhawan and his leading lady in the movie, Alia’s chemistry. Strangely Varun and Natasha neither arrived together nor posed for the shutterbugs together. Varun was seen hanging out with his family and not Natasha. This comes as a rather surprise considering that just a couple of weeks ago, the two arrived hand-in-hand during Shahid Kapoor’s pre-birthday. But maybe this has to do with Varun wanting everyone to talk about his new film, Badrinath, rather than talk about his love life! Well, the songs and trailers of Badrinath have caught the fancy of the audiences. Now let’s see how B-Town has felt about the movie! Previous articleNoor Trailer Out: Sonakshi Sinha As Journalist Is Impressive In The Intriguing Story!